The combination of shrimp and prosciutto makes this a very tasty main course or appetizer…and surprisingly quick and easy to prepare. 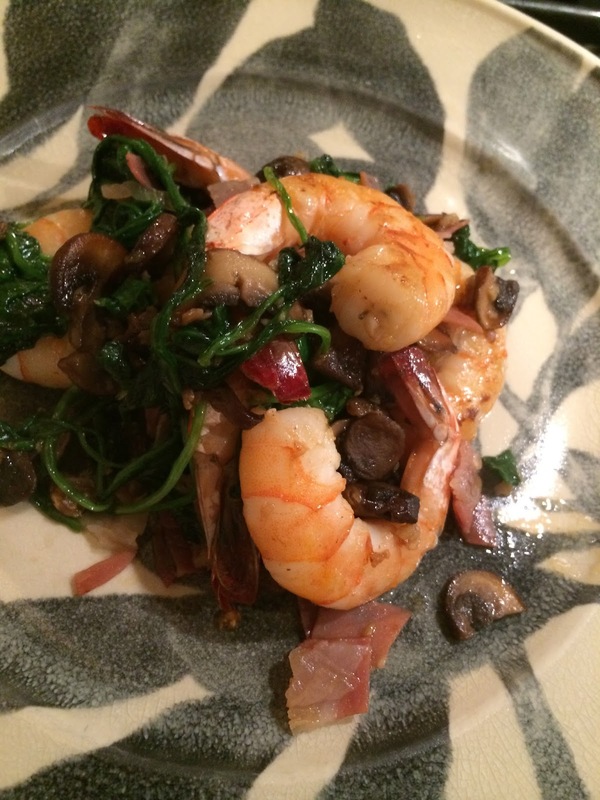 While your sauté pan is heating peal your shrimp, mince your garlic, slice a couple of mushrooms, coarsely chop some arugula, and dice a couple of extra thick slices of prosciutto. When you’re ready to go add a bit of extra virgin olive oil to your pan and sauté the mushrooms until they start to brown. Next, add the shrimp along with some red chili flakes. After a few minutes flip the shrimp and add the garlic, arugula, and prosciutto. When the shrimp are cooked through salt to taste and serve immediately. It will taste better if you eat it outside with a glass of white wine.